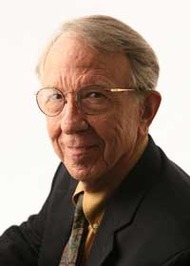 Ralph C. Wood has served as University Professor of Theology and Literature at Baylor since 1998. He previously served for 26 years on the faculty of Wake Forest University in Winston-Salem, North Carolina, where he became the John Allen Easley Professor of Religion in 1990. He has also taught at Samford University in Birmingham, at Regent College in Vancouver, and at Providence College in Rhode Island. At Baylor, his main appointment is in the Religion Department, but he also teaches in the Great Texts program as well as the Department of English. He serves as an editor-at-large for the Christian Century and as an editorial board member for both the Flannery O'Connor Review and Seven: An Anglo-American Literary Review.